"America's Thanksgiving Parade presented by Art Van" will feature 10 high school marching bands in the "Battle of the Bands" contest. There are also 12 teams in the "Choreography Around a Float" contest. 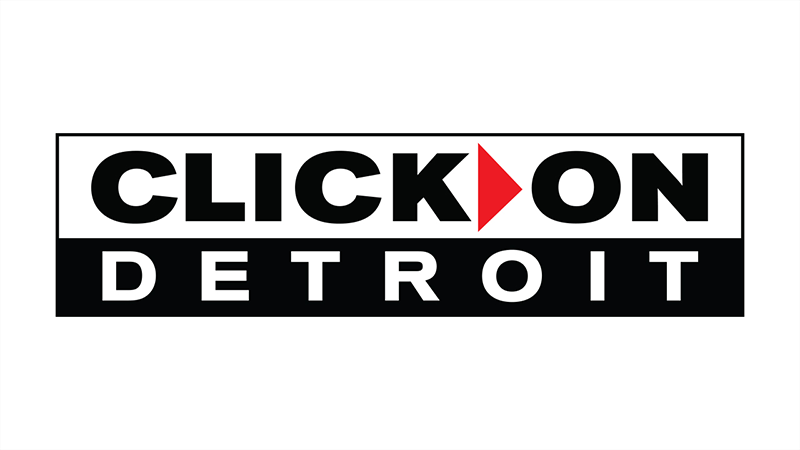 Voting is November 24-27 on ClickOnDetroit.com. 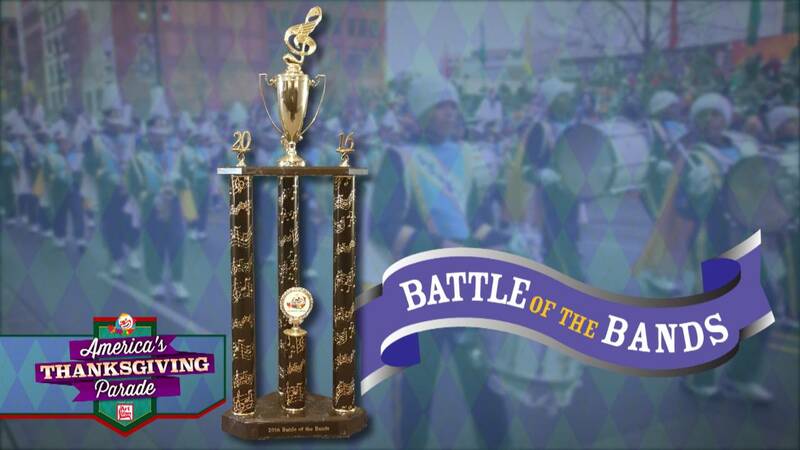 The winner of "Battle of the Bands" will receive a trophy from The Parade Company. Below are all the bands and float/choreography teams. Congratulations to all! UPDATE: See who won here! 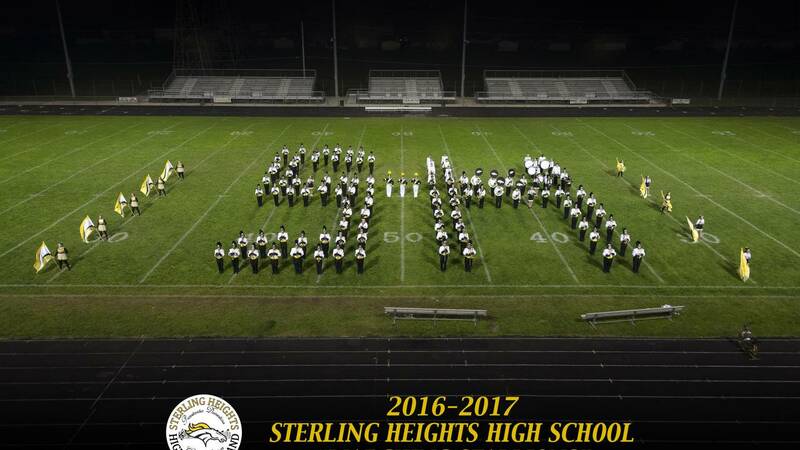 Located in Sterling Heights, Michigan, the Sterling Heights High School Band is comprised of dedicated, hard- working, and selfless individuals from the student body. We strive to cultivate life skills, such as teamwork, goal setting, responsibility and communication through music education. Furthermore, we conduct ourselves in such a way to bring pride to our school, our band, and our self. 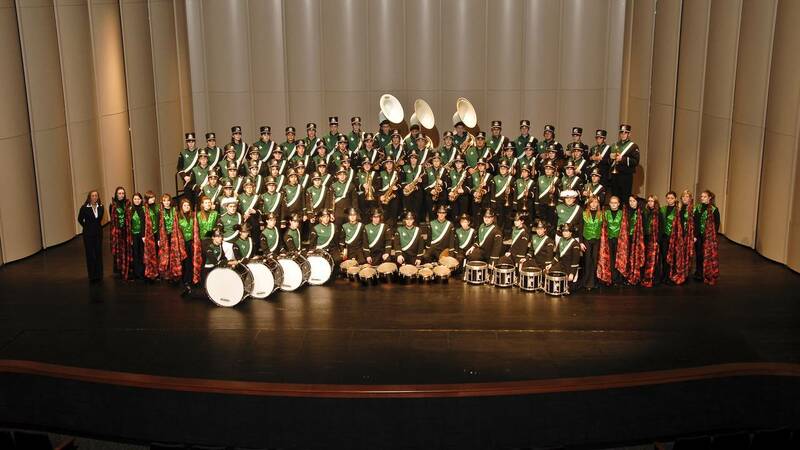 This 255-member marching band has been the largest organization in Macomb for the past 11 years. They have performed countless events such as the Chic-fil-A Bowl in Atlanta, the Statue of Liberty Performance in New York City, and so much more. 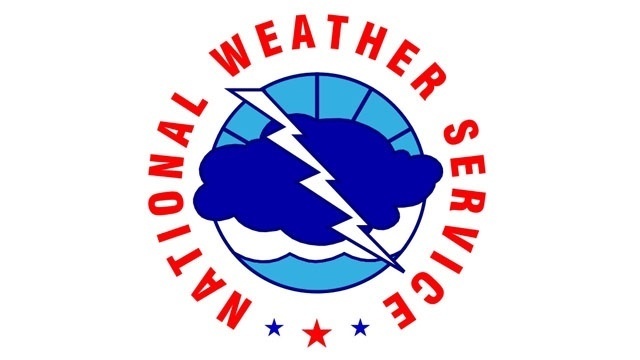 The Fraser High School "Rambling" Marching Band has 16 consecutive years First Division Ratings at Michigan School Band & Orchestra Association District XVI Marching Band Festival. This will be their sixth year performing in America's Thanksgiving Parade! They're performing "Sleigh Ride" by Leroy Anderson under the direction of Jim Rodgers. 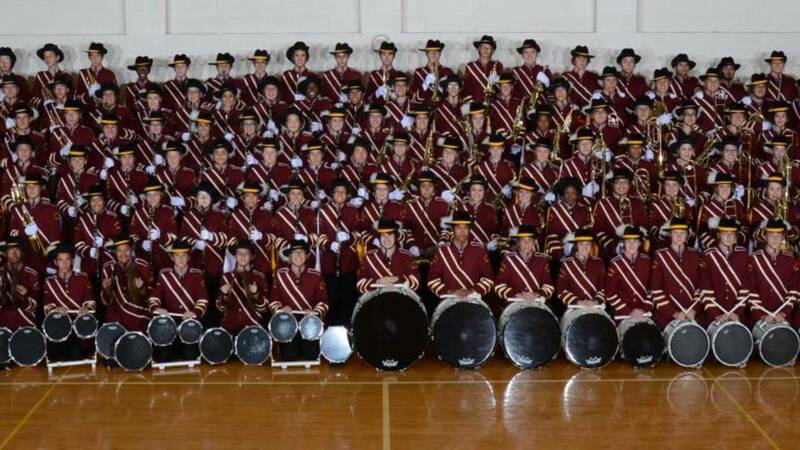 The Warren Mott Marauder Music Machine is comprise of 190 students from grades 9-12. The band program at Mott has four concert bands and a jazz band, as well as two after-school jazz bands, jazz combo, percussion ensemble and many other wind ensembles. The bands have had great success at District and State Band and Orchestra Festivals, and the Marching Band has received 1st divisions over the last 12 years. 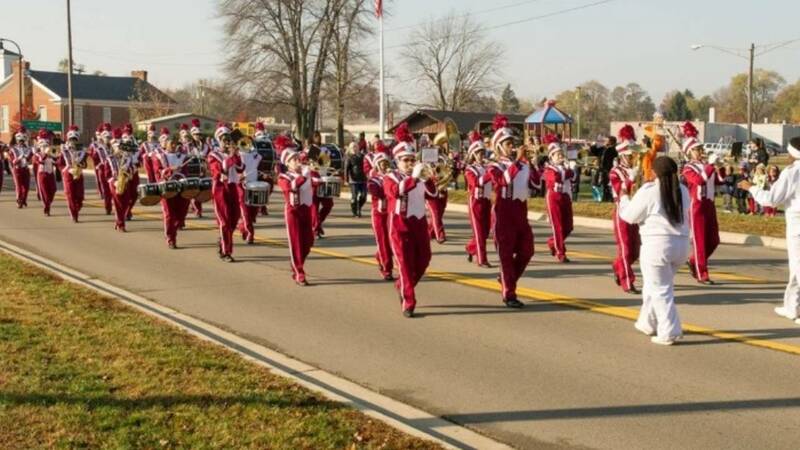 The band recently marched in the Detroit Veterans Day Parade. The Marauder Big Band Jazz Band has performed at the Detroit Jazz Festival many times over the years. The band, under the direction of Erik Miller, will be performing "This is What You Came For." Located in Clinton Township, the Big Reds Marching Band has 153 members and has performed at Walt Disney World, New York City, and Honolulu. This marks the 16th consecutive year that the band has performed at "America’s Thanksgiving Parade." Recent honors for the Big Reds Marching Band includes 1st Place Parade Band at Festival Disney in Orlando, and 1st Division Rating in MSBOA Marching Band Festival. 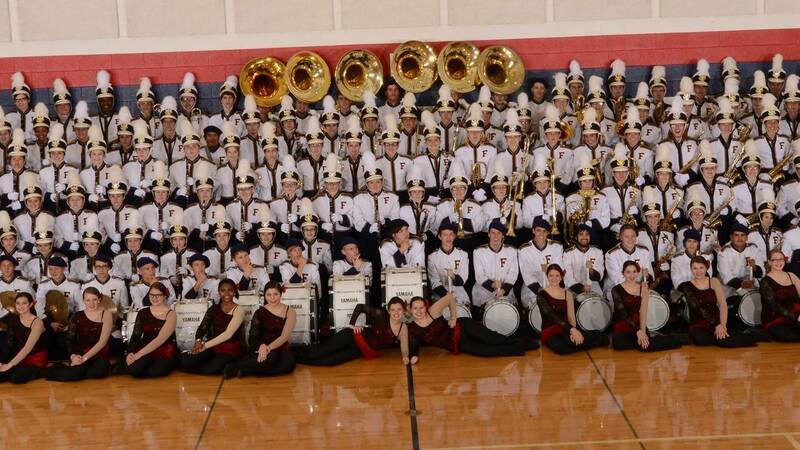 The Big Reds were also won 1st place in the 2013 America’s Thanksgiving Parade Battle of the Bands. The band will be performing "Christmas on Parade" arrange by Robert W. Smith. The band director is Tim Hoey. 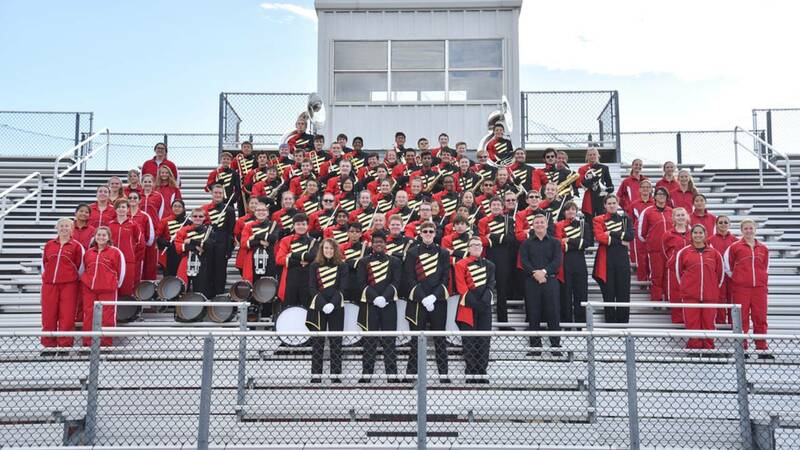 The Troy Athens Redhawk marching band has an exciting history of providing its students performances all over the United States. 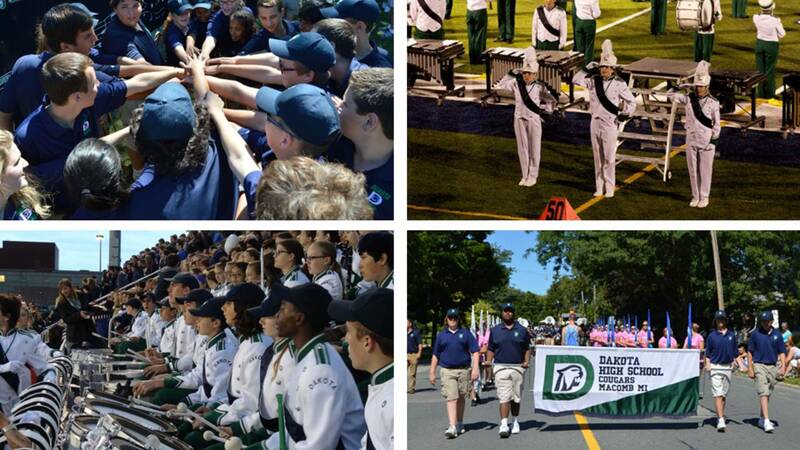 The band program takes great pride in immersing students in the community with recent performances at Ford Field, Joe Louis Area, The Palace of Auburn Hills, and Cliff Bells. In April the band will travel to NYC to perform on the USS Intrepid. As a top 10 MCBA finalist for the past 40 years, the band continues to WOW audiences with creative, energetic halftime performances. The band will be performing "Celebration" by Kool & The Gang under the direction of Adam Cable. Park Christmas Tree parade, our band aims to serve with the gift of music. The band is directed by Kristi Kruger. The Redwing Band consists of 125 10th, 11th, and 12th graders from St. Johns Public School in St. Johns, MI. 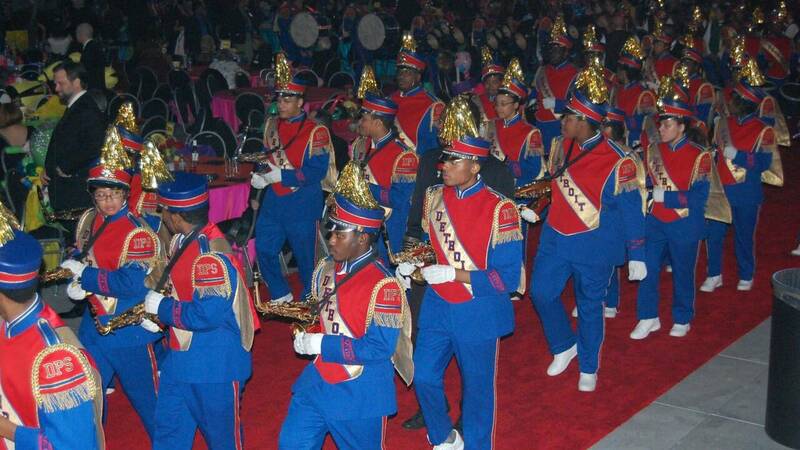 The Band is honored to participate in this year's Detroit parade. The band has traveled to Canada, Washington D.C., and most recently to Hawaii. The band has been invited to play for the Red Wings Hockey team’s Stanley Cup victory parade, the Detroit Lions fan day, the Orange Bowl, and represent the State of Michigan in the National Memorial Day Parade and 4th of July Parade in Washington D.C. The Band is under the direction of Roy Davis, Jr. an alumnus of the Redwing Marching Band with assistance from Morgan Cressman, Zack Korienek, and Erickson Hufnagel. The band would like to thank the Detroit Parade committee for selecting them to participate in this year's parade and the community of St. Johns for making the trip possible. The band will be performing "Cupid Shuffle." The Romulus High School Marching Eagles have been working hard to grow and regain their prominence for the last three years, expanding from a mere 25-member ensemble at the start of 2013 to a 56-member ensemble at the end of the 2016 season. 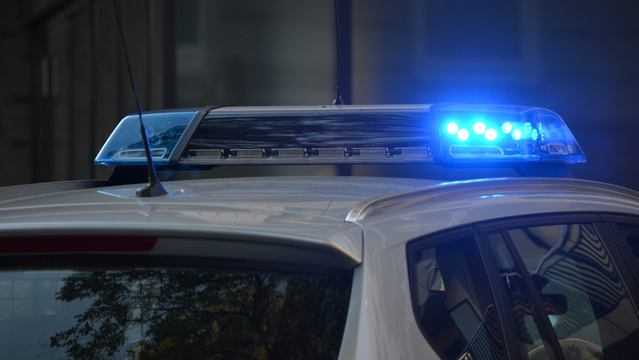 The Eagles have been featured in local parades and celebrations including the Romulus Parade of Lights, the New Boston Apple Festival Parade, Veteran's Day Celebrations, and Martin Luther King Celebrations. 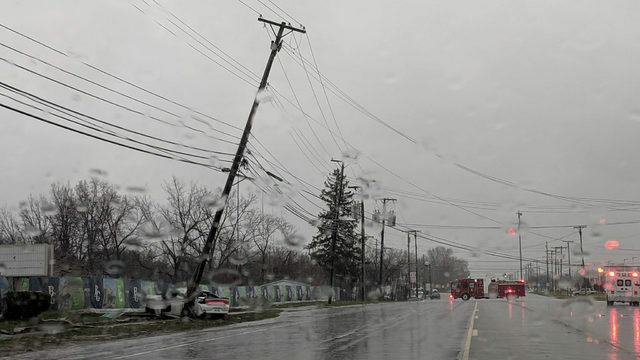 For the last two years, the Eagles have been the selected winner of the Romulus Rotary Parade of Lights Competition. The Romulus High School Marching Eagles are under the direction of Romulus Alumni Jessica Mills (band director) and Chyanne Ballard (color guard instructor). The band will be performing Prince's "Let's Go Crazy." Under the direction of Mr. Willie J. McAllister, Jr., Director of Fine Arts for Detroit Public Schools, the All City High School Marching Band is comprised of 110 students and staff from four Detroit Public School high schools - Cass Technical, Detroit School of Arts, Martin Luther King and Renaissance High Schools. Additionally, the students received instructional support from three DPS/All City Marching Band and Fine Arts alumni. The band will perform "Hello Detroit." The Dakota Marching Band is an award-winning organization with approximately 200 members in the 2016 season. The group consistently earns Division I ratings at MSBOA festivals and draws a large number of fans to Dakota football games for its halftime show.